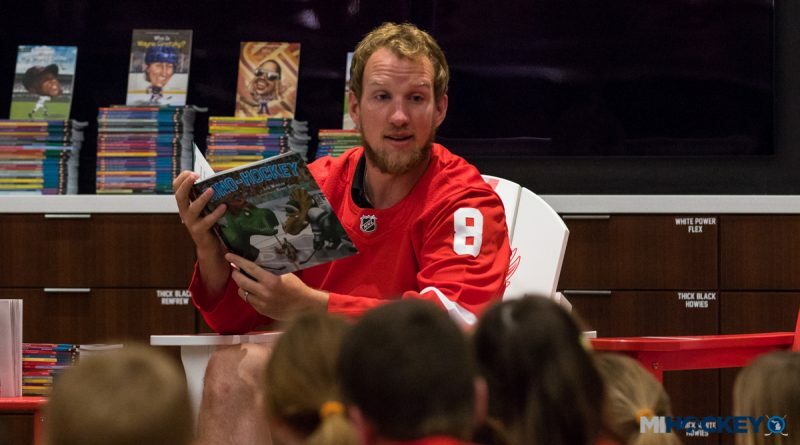 Soon, students participating in Justin Abdelkader’s reading program may be able to read a book written by the program’s namesake. The Muskegon native and Red Wings forward has announced that he has written his own children’s book. From his Instagram account, the former Michigan State star and recent MSU graduate shared the news of his “Shoot For The Goal: The Justin Abdelkader Story” children’s book, penned by No. 8 himself. Excited to finally share the project I have been working on, a children’s book about a boy from the west side of Michigan who had dreams of playing for the Detroit Red Wings. It has been so much fun reflecting on my childhood & all the obstacles that brought me to where I am today. This book is so special to me not only because it goes through my journey as a hockey player/student, but because I get to further my passion for children & reading through Abby’s All Stars by giving them one more book to read! Follow along for details on how to get your copy & signings I’ll be doing for “Shoot For The Goal” as well. Hope you guys enjoy it as much as I enjoyed writing it!